Charly Coleman, associate professor, specializes in the European Enlightenment and the French Revolution, with a particular emphasis on the intersections between religion, philosophy, and political economy. 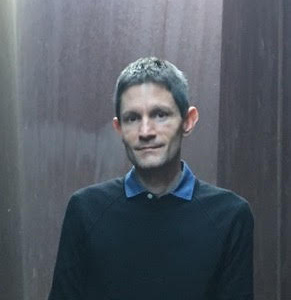 He is the author of The Virtues of Abandon: An Anti-Individualist History of the French Enlightenment (Stanford, 2014), which was awarded the 2016 Laurence Wylie Prize in French Cultural Studies. His research on the history of selfhood and secularism has appeared in The Journal of Modern History, Modern Intellectual History, and various edited volumes. He is currently writing a history of economic theology in eighteenth-century France. The project aims to uncover a distinctly Catholic ethic of capitalism that, in contrast to the Protestant counterpart made famous by Max Weber, privileged the marvelous over the mundane, consumption over production, and the immediacy of enjoyment over delayed gratification. “The Spirit of Speculation: John Law and Economic Theology in the Age of Lights,” French Historical Studies 42, 2 (April 2019). “Enlightenment in the Shadows: Mysticism, Materialism, and the Dream State in Eighteenth-Century France,” in Let There Be Enlightenment: The Religious and Mystical Origins of Rationality, ed. Anton Matysin and Dan Edelstein (Baltimore: Johns Hopkins University Press, 2018). “The Economy of the Mysteries: Administering Sacramental Wealth in the Age of Lights,” Occasional Papers, School of Social Science, Institute for Advanced Study, Paper Number 61 (May 2018). “The Vagaries of Disenchantment: God, Matter, and Mammon in the Eighteenth Century,” Modern Intellectual History 14, 3 (November 2017): 869-881. “Religion,” in The Cambridge Companion to the French Enlightenment, ed. Daniel Brewer (Cambridge: Cambridge University Press, 2014), 105-121. “Playing God,” Forum on Thomas Pfau, Minding the Modern: Human Agency, Intellectual Traditions, and Responsible Knowledge, The Immanent France, Social Science Research Council (November 2014). “Resacralizing the Self: Mysticism, Materialism, and Personhood in Eighteenth-Century France,” in Sacred and Secular Agency in Early Modern France: Fragments of Religion, ed. Sanja Perovic (London: Continuum, 2012), 83-103. “Resacralizing the World: The Fate of Secularization in Enlightenment Historiography,” The Journal of Modern History 82 (June 2010): 368-395. “The Value of Dispossession: Rethinking Discourses of Selfhood in Eighteenth-Century France,” Modern Intellectual History 2, 3 (November 2005): 299-326.